We are engaged in offering Ralli Wolf High Speed Grinder. No Load Speed: 25000 r.p.m. We offer Low-High Speed Grinders / Crushers that are used in injection molding machines. These equipment are procured from the reputed and trustworthy manufacturers of Japan. Available in various specifications, our entire assortment is thoroughly tested for quality so that flawless range is supplied to the clients. we are instrumental in providing our customers a wide array of High Speed Angle Grinder. This Angle Grinder is widely used for carrying out light weld dressing/grinding & cutting operations in fabrication workshops. Client can purchase these products at most economical prices. 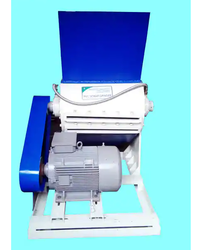 High Speed Mixer-Grinder offered find application in hot mixing processes where these high speed mixtures find suitability for mixing polymer resin with additives, pigment paste or powder. Also suitable for dry blending of granules with master batches, some of the end applications these are used for include lldpe powder, p.v.c. Being one of the reckoned enterprises in the market, we are offering an optimal class gamut of High Speed Grinder to our patrons. 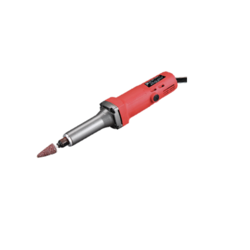 With the help of skillful professionals, we are engaged in trading a wide assortment of High Speed Grinder. - Fast grinding and polishing. Frequency control drive. - Ideal machine for dry grinding and polishing of concrete, marble & granite floors of small areas. - Vacuum pick up pipe for dust free operation.